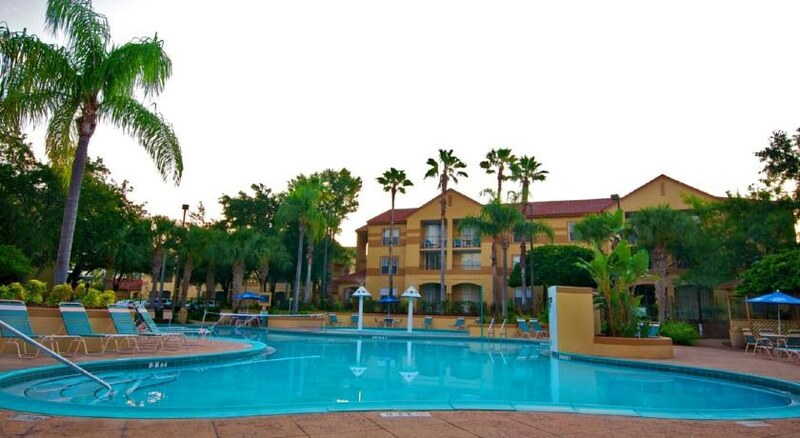 Set in a prime location from which you can visit the main theme parks in Orlando, Blue Tree Resort At Lake Buena Vista is a family friendly hotel that is also suited to couples. With four outdoor pools, a range of suite options, fitness centre and free shuttle service to the top attractions in Orlando, this property is sought after by tourists who want to make the most of their stay in Florida. 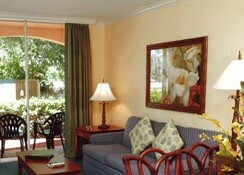 There are many golfing and shopping opportunities close by to the Blue Tree Resort At Lake Buena Vista too. 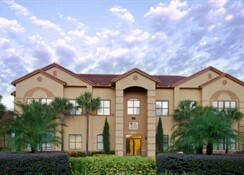 If you are planning on visiting the main sights in Orlando then this property offers a convenient and comfortable location from which to explore the surrounding area. The Blue Tree Resort At Lake Buena Vista is close to SeaWorld (2.8 miles), Walt Disney World (5.1 miles) and Disney’s Hollywood Studios (4 miles). Some of the other main attractions are nearby including Universal Studios (6.2 miles), Disney’s Animal Kingdom (5.7 miles) and Disney Springs (1.7 miles). There are numerous shopping outlets in the vicinity as well such as Prime Outlets Orlando and Orlando Premium Outlets which are within walking distance. The Orlando International Airport is 12 miles away. There are two types of suites available at this resort. 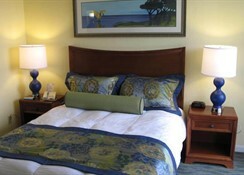 One Bedroom suites can sleep up to four people as they come with one sofa bed and one large double bed. The Two Bedroom suites can accommodate 6 people with 2 single beds, one sofa bed and one large double bed. 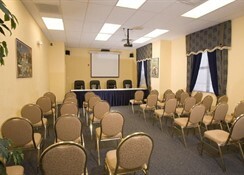 All the suites come with free Wi-Fi, dining areas, cable TV and a fully equipped kitchen. The suites at the Blue Tree Resort At Lake Buena Vista provide a fully equipped kitchen where you can prepare your own meals. There are also various eating and drinking options nearby including at the shopping center’s which are within walking distance. 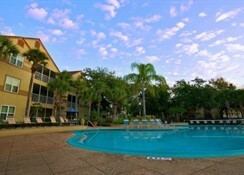 You will find a range of amenities at this resort which includes 4 outdoor pools where you can soak up the Florida sun. 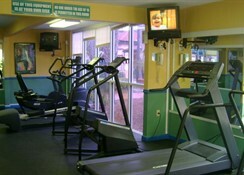 There is also a fitness centre as well as a miniature golf course on-site and you can also head to the games rom too. Facilities exist for basketball, tennis and beach volleyball while golfers can get 18 holes in on Disney’s Lake Buena Vista Golf Course which is just 2.4 miles from the property.